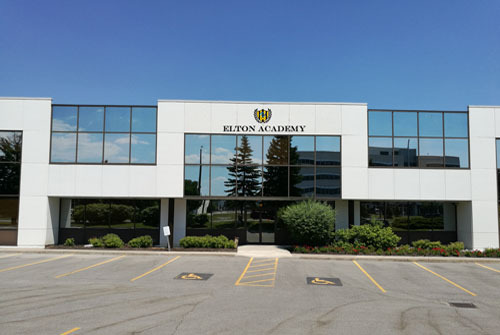 Elton Academy is located in the core of business park in Richmond Hill. Richmond Hill (2017 population 219,164 and predict 222,997 by 2018) is a town located in the southern portion of York Region, Ontario, Canada. It is part of the Greater Toronto Area. It is the third most populous municipality in York Region and the 28th most populous municipality in Canada. Richmond Hill has in recent years, seen a huge population upsurge, being Canada's fastest-growing community in the 1990s. It is an affluent town with a large number of people employed in areas of business, finance, industry and healthcare. The town is home to the world-renowned David Dunlap Observatory telescope, at one time the second largest telescope in the world, and still the largest in Canada.